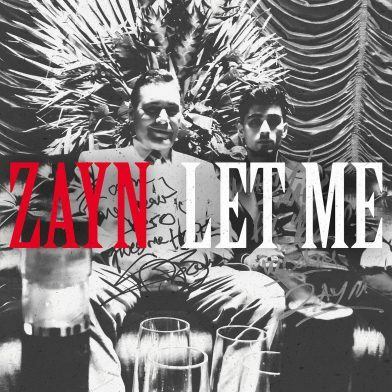 Zayn releases ‘Let Me’ taken from forthcoming second album – Watch the video here! Let Me, the new single from Zayn, is released today globally via RCA Records. Produced by Zayn and MYKL (the British production duo who worked with Zayn on Pillowtalk) the track is an upbeat, pop track written and recorded in Jimi Hendrix’s’ legendary Electric Lady Studios in New York City. The video for the track was creatively developed by Zayn himself who worked closely with director and producer Jose Padilha (Narcos, Robocop) to see his vision come to life, casting iconic actor Steven Bauer (Scarface, Breaking Bad) to star alongside himself. The video is the sequel to ‘Dusk Til Dawn’ – the smash hit featuring SIA – which won ‘Best Video’ at the 2017 MTV VMA’s. ‘Let Me’ is from Zayn’s forthcoming second album, which is a culmination of his experiences and inspirations from the past two years since the release of his critically acclaimed debut album ‘Mind Of Mine.’ The global hit made him the first solo British male to debut with a number 1 in both the UK and US. Last year he also pursued his interest in design, creating capsule collections for Versace and Giuseppe Zanotti and was recognized for his work by GQ who named him ‘Most Stylish Man’ at their 2017 Man of the Year awards.